I am a strong advocate for using a blend of approaches that produce desired results. In the Health and Fitness Fields, there is consensus that exercise and fitness regimens need to include strength and balance. With the notion “exercise has one spelling but can be diversely applied” running through my mind, I read another article by Timothy Brusseau. The article, Combining Fitness and Skill Tasks, talks about program development and the concept of skill-building. The article outlines principles and standards for creating a program to engage youth in physical activity and fitness. the skill and build upon it? Isn’t this the basis for how we stay accountable? Accountability and adherence to methods, processes, and principles are intertwined. For a program to be effective, the concepts of accountability and adherence need to be defined and built into the overall program framework from the start. My adherence to my established exercise regime increases when I see measurable improvements in the skills that I am working on. Working with my Movement Specialist supports a high degree of accountability because there is consistent monitoring of skills, movement sequences and patterns, and behaviors. This combination of monitoring and accountability builds a strong foundation for future growth. The Brusseau article offers examples of exercises and structured activities to support skill-building in physical fitness. One of the referenced examples in the article is the plank exercise. The plank is a stabilizing exercise as well as a strengthening exercise. 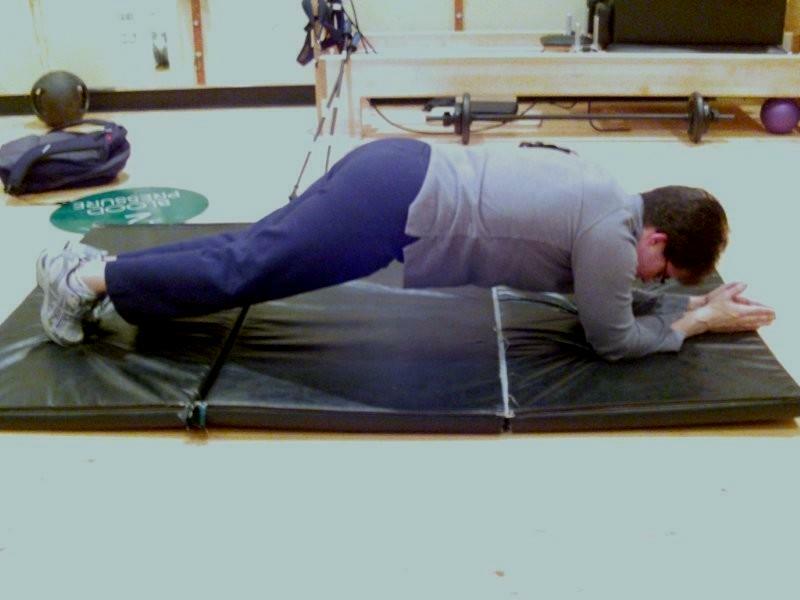 Within my own fitness program, the plank is an exercise I am asked to frequently perform. One of the consistent focal points for skill-building in my program is improving my core strength, core stabilization, and postural control. Existing literature on core stabilization emphasizes that all forms of movement are powered by the core; (the abdominals and back) and that “the body is like a chain where parts work together to support the spine when a person moves—e.g. when a person sits, stands, or bends over.”[v] So, strengthening and stabilizing my abdominals, back, and other muscle groups are foundational skills I need to advance and maintain in my program. To effectively perform the plank, I had to learn to use the appropriate form (body position). Arm positioning is important. A person’s elbows have to be placed directly beneath their shoulders. A person’s full body weight is bared on the forearms. I had to be taught how to perform a plank and then be monitored until I had mastered the skills. The Brusseau article also offers examples of equipment that can be used in skill-building exercises. The author emphasizes that the equipment used in skill-building activities does not have to be high-end or complicated. Performing a plank for example can start on a mat and advance to using a ball. [ii] Brusseau, T. A., Darst, P. W., & Johnson, T. (2009). Combining Fitness and Skill Tasks. JOPERD–The Journal of Physical Education, Recreation & Dance, 80(8), 50+. [iii] Stecher, B., & Kirby, S. N. (Eds.). (2004). Organizational Improvement and Accountability: Lessons for Education from Other Sectors. Santa Monica, CA: Rand. [iv] Moosa, M. Y., Jeenah, F. Y., & Kazadi, N. (2007). Treatment Adherence. South African Journal of Psychiatry, 13(2), 40+. [v] Oliver, Gretchen D.; Heather Adams-Blair,. “Improving core strength to prevent injury: safe and correct performance of movement skills requires postural or core control. (Essay).” JOPERD–The Journal of Physical Education, Recreation & Dance. American Alliance for Health, Physical Education, Recreation and Dance (AAHPERD). 2010.